Dog anxiety is a surprisingly common problem and includes issues like fear of thunder, fireworks, separation, travel, crating, problem barking and much more. Millions of dogs in the United States suffer from anxiety severe enough that their owners are seeking help. 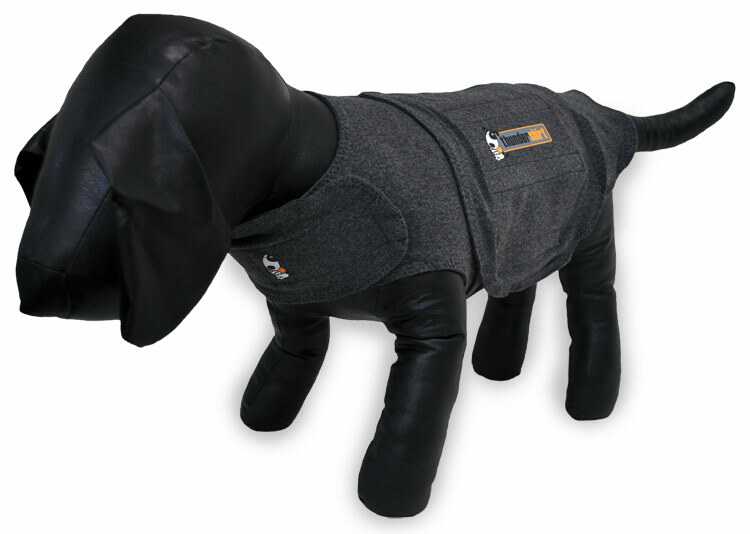 Thundershirt's gentle, constant pressure has a dramatic calming effect for most dogs if they are anxious, fearful or over-excited. 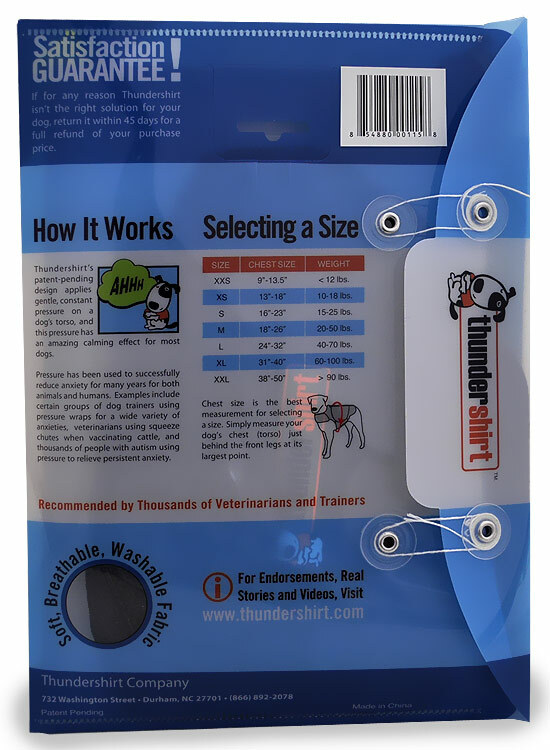 Thundershirt is already helping tens of thousands of dogs around the world, and is recommended by thousands of veterinarians and dog trainers. Thundershirt is an excellent treatment for most types of dog anxiety and fear issues. 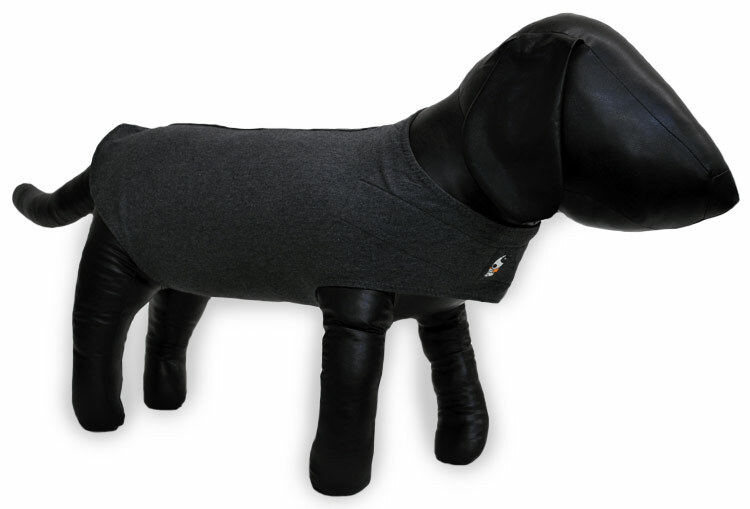 Thundershirt is comfortablefor your dog. Washable, soft and stretchy heather gray material. 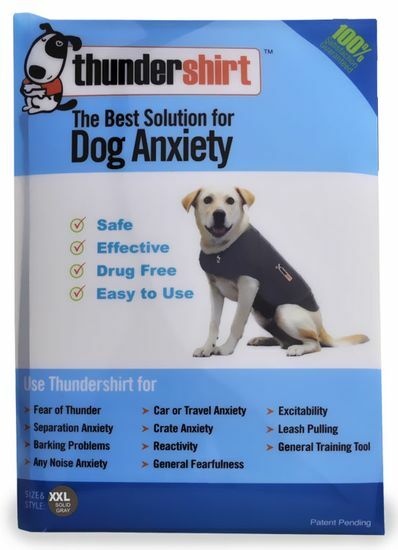 Thundershirt is easy to use and is a drug-free, safe way to help calm an anxious, fearful or hyperactive dog. 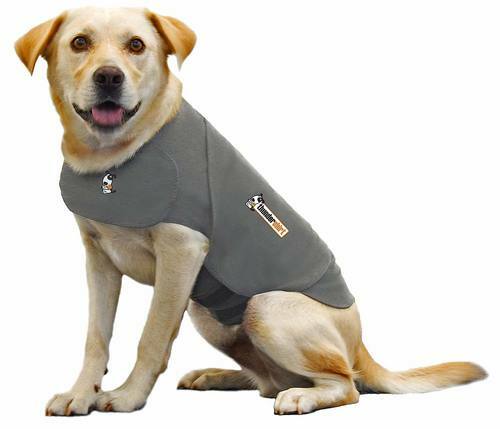 Your dog's thunderstorm fear or phobia. Your dog's fear of strangers or new places. Your dog's fear of being crated. Your dog's anxiety due to traveling or moving. 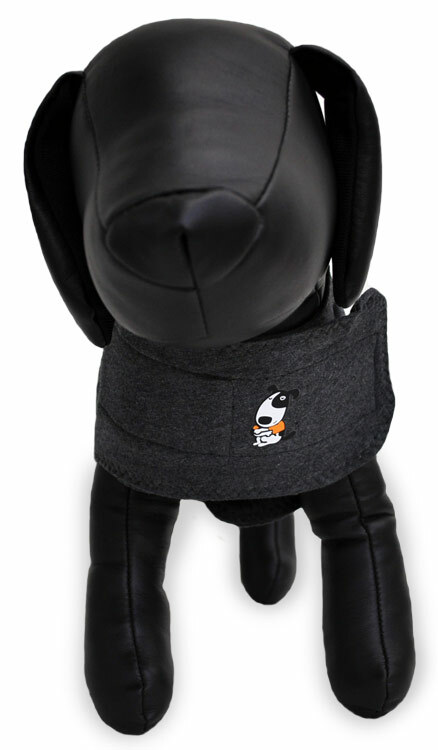 Your dog's hyperactivity, over activity or excitability. Your dog's general nervousness or anxiousness. Your dog's reactivity on the leash (barking at other dogs while on the leash). It is not completely understood, but according to some experts such as Temple Grandin pressure has a calming affect on the nervous system. 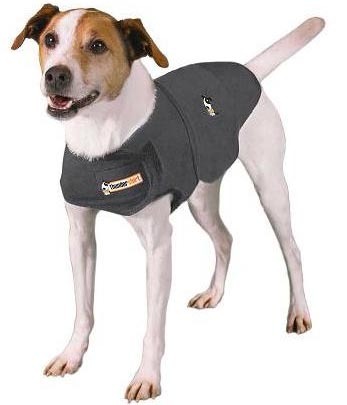 In most cases you will see improvement when you first put the ThunderShirt on, but in some dogs it takes two or three uses. Click for an instruction sheet.